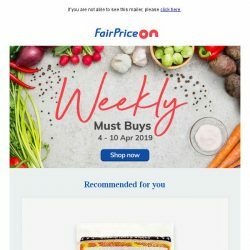 [Fairprice] This week’s fantastic gifts! 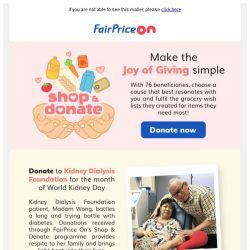 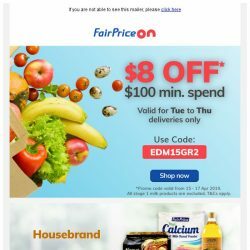 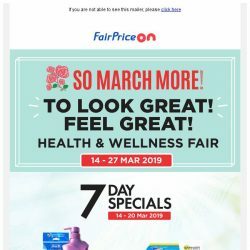 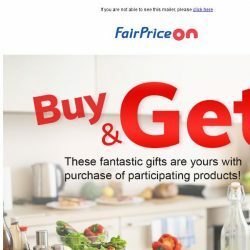 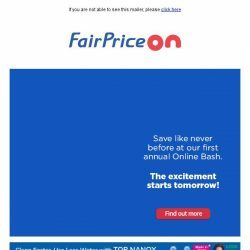 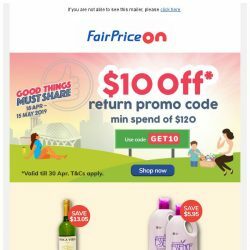 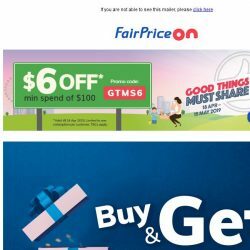 [Fairprice] Delivery Special: $8 OFF $100! 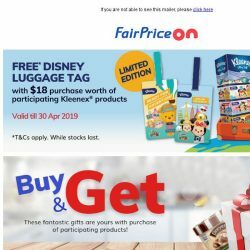 [Fairprice] Gifts with your purchase! 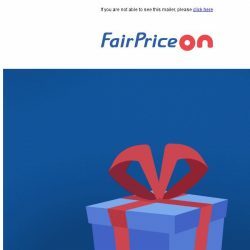 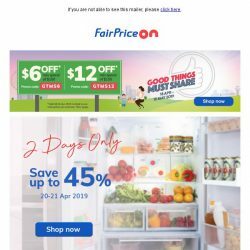 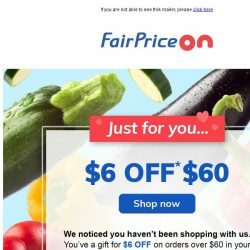 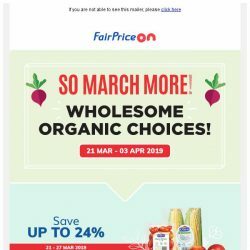 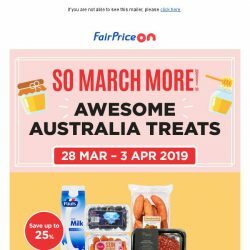 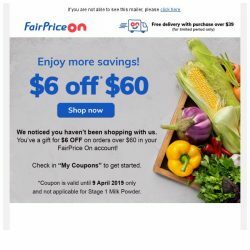 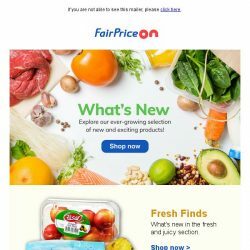 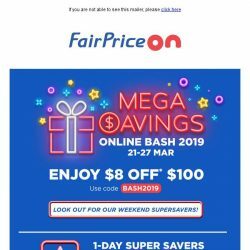 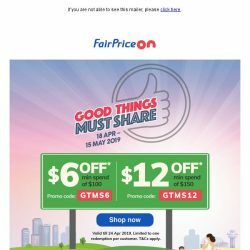 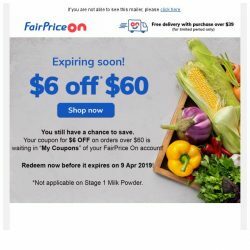 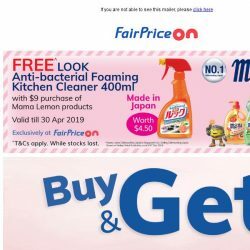 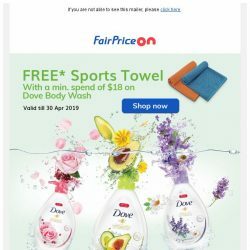 [Fairprice] Reminder: Redeem your $6 OFF! 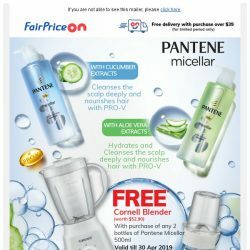 [Fairprice] Enjoy a FREE Cornell Blender! 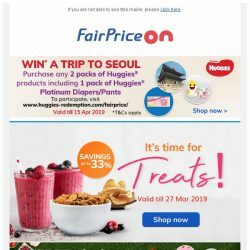 [Fairprice] Your Coupon is Expiring! 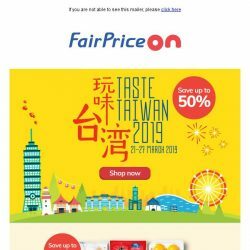 [Fairprice] Taiwan: up to 50% savings!